With Nauru celebrating its 50th anniversary of independence in 2018, the Jubilee Cup has kicked off the festivities early. The cup was a round-robin tournament featuring some of the most talented young footballers on the island, with 11 different sides all competing for the cup -- plus island-wide bragging rights. The initial tournament ran from January 17-20, organized into pools A and B, culminating in the grand final on the 27th. Ultimately, the Boe Lions took home the flag in a high-scoring grand final, defeating the Buada Tigers by 13 points. Both teams had come into the match with high expectations; the Lions and Tigers had dominated the competition, with both recording at least one shutout apiece in the previous week’s action. The grand final itself was a fast-paced and exciting match at Linkbelt Oval, featuring lots of physical action and numerous lead changes in spite of humid conditions. Both teams had shown plenty of accuracy in front of goal in the cup so far, and the granny was no exception. Joesen Kanimea and Pilo Dagiaro both booted three goals for Boe, with Lucky Ika and Zac Detenamo also coming in clutch with key goals at crucial moments late in the second half. The Lions’ defense stood tall against the Tigers, who boasted a potent offensive attack of their own. Marcus Detenamo and Bronco Deidenang each kicked three for Buada, but in the end, the Lions’ superior accuracy helped them secure a big victory. 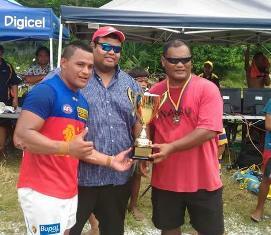 Dagiaro -- whose brother Charles plays for the Nauru national team -- took home the best and fairest for the grand final. 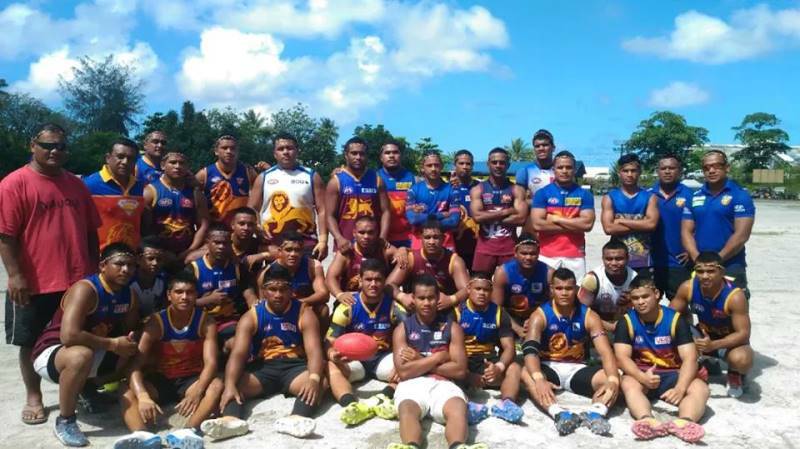 As winners of the Jubilee Cup, the victorious Lions will be heading to take a tour of Brisbane in March, where they will be able to show homegrown Nauruan talent on a much larger scale. Best of luck to them!